On his Twitter account, Wael Haddara introduces himself as an “ICU physician (and other things).” In recent months, one of these “other things” done by Haddara has been advising ousted Muslim Brotherhood-backed Egyptian President Mohammed Morsi. 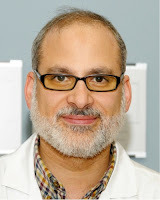 In an interview to Canadian network Global TV on August 15, 2013, Wael Haddara was introduced as a “former advisor to Mohammed Morsi.” According to his own professional profile, Haddara was born in Egypt. Haddara’s mandate for Morsi likely started after he resigned for “personal reasons” his position as president of the Muslim Association of Canada (MAC) on December 12, 2012. Besides his involvement with MAC, Wael Haddara has also been associated with the following Islamist organizations in the past: Muslim World League, CAIR-CAN, London Moslem Mosque, IRFAN-Canada and the Muslim Students Association (National). Appropriate references about Haddara’s leadership roles with these organizations are available in our previous article announcing Haddara’s resignation from MAC’s Board. This may not be a complete list of Islamist organizations with which Haddara has been involved in North America. So far, the oldest official mention of Wael Haddara’s role as an advisor to President Morsi that we found is dated December 28, 2012. On an official United Nations document, Wael Mahmoud Haddara is listed as a member of the Egyptian delegation at the UN. The collapse of the Mubarak regime has been a great blessing for Hamas, which has emerged as a major player. Now Hamas knows that it can always rely on Morsi and the Muslim Brotherhood to stay in power and increase Hamas's influence. Did Hamas dispatch 7,000 militiamen from the Gaza Strip to Egypt to protect President Mohamed Morsi, who is currently facing a popular uprising? Reports that appeared in a number of Egyptian opposition media outlets in the past few days claimed that the militiamen entered Egypt through the smuggling tunnels along the border with the Gaza Strip. The reports quoted unidentified Egyptian security officials as saying that the Hamas militiamen had been spotted in the Egyptian border town of Rafah before they headed toward Cairo, to shore up the Muslim Brotherhood regime of Morsi, which Hamas may have feared was in danger of collapse. The officials claimed that the Hamas militiamen had been deployed in a number of sensitive locations in the Egyptian capital, including the Al-Ittihadiyeh Presidential Palace, as part of a plan to protect the Muslim Brotherhood regime. 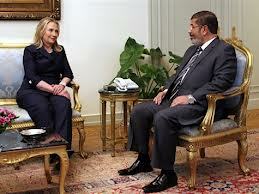 Hamas, an offshoot of the Muslim Brotherhood organization, is a staunch supporter of the Morsi regime. This week, a Gulf newspaper Akhbar Al-Khaleej published what it described as "secret documents" proving that Hamas, with the financial backing of Qatar, had plans to send hundreds of militiamen to Egypt to help Morsi's regime. One of the classified documents, signed by Hamas's armed wing, Izaddin al-Kassam, talks about the need to send "warriors to help our brothers in Egypt who are facing attempts by the former regime [of Hosni Mubarak] to return to power." The reports about Hamas's alleged involvement in the Egyptian crisis have been strongly denied by Hamas officials. Hamas leader Mahmoud Zahar lost his temper during an interview with an Egyptian TV station; he said the reports were lies intended to tarnish Hamas's image. Zahar accused supporters of the Mubarak regime of being behind the reports depicting Hamas as a terrorist organization helping President Morsi to kill Egyptians. But this was not the first time that Egyptians had accused Hamas of meddling in their internal affairs. In August 2012, reports in the Egyptian media suggested that Hamas was involved in the killing of 16 Egyptian border guards near the border with the Gaza Strip. The perpetrators have never been caught. 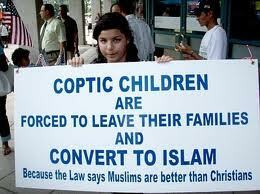 Egyptians have also accused Hamas of involvement in a terror attack against a church and attacking prisons in Egypt. Although the talk about Hamas's involvement in terror activities on Egyptian soil may in some cases be exaggerated, repeated accusations against Hamas show that many Egyptians continue to see the radical Islamist movement as a threat to their national security. Hamas has further been accused by some Egyptians of helping other Muslim fundamentalist groups turn Sinai into a base for jihadis from all around the world. During last week's street clashes in Cairo, anti-Morsi demonstrators torched Hamas and Qatari flags. They also chanted slogans condemning Morsi and his Muslim Brotherhood organization for bringing Hamas militiamen to suppress Egyptian protesters. There is no doubt that Hamas is prepared to do its utmost to help Morsi and his Muslim Brotherhood organization stay in power, even at the cost of killing and torturing Egyptian civilians. The downfall of the Mubarak regime has been a great blessing for Hamas, which has since emerged as a major player in the Palestinian and regional arena. Thanks to Morsi, an Egyptian prime minister visited the Gaza Strip for the first time ever last November to express solidarity with Hamas during Israel's "Pillar of Defense" military operation. Such a visit would have been unthinkable under Mubarak, who did everything he could to weaken Hamas and stop it from meddling in the internal affairs of Egypt. But now Hamas knows that it can always rely on Morsi and the Muslim Brotherhood to stay in power and increase Hamas's influence. In return, Morsi apparently expects Hamas to reward him by sending its men to defend his palace. President Barack Obama talks with National Security Advisor Tom Donilon before a phone call with President Mohammed Morsi of Egypt, aboard Air Force One during the flight from Phnom Penh, Cambodia, to Washington, D.C., Nov. 20, 2012. After highly classified details of a U.S. cyberattack on Iran’s nuclear program were made public, President Obama went to the White House press room to denounce those who suggested the leaks were coming from his top national security aides. “The notion that my White House would purposely release classified national security information is offensive [and] it is wrong,” the president declared. Well, the Federal Bureau of Investigation may disagree. The Post broke the news Sunday that the FBI has launched an “aggressive” investigation into “current and former senior officials suspected of involvement” in the leak that Obama personally ordered cyberattacks on the Iranian nuclear program using a computer virus called Stuxnet. The New York Times story which first revealed the details of the cyberattack on Iran’s nuclear program cited as sources “members of the president’s national security team who were in the [Situation Room]” and even quoted the president asking during a top secret meeting: “Should we shut this thing down?” Only Obama’s most trusted national security advisers would have been present when he uttered those words. Now several members of that inner circle are receiving promotions. Deputy National Security Adviser Denis McDonough has just been named the new White House chief of staff. And John Brennan, the White House counterterrorism adviser, has been nominated to be next director of the CIA. With the investigation reaching the top echelons of the administration, it is time for the White House to come clean and tell the American people which of Obama’s senior advisers is under investigation. There are no confirmation hearings for the chief of staff post, but Brennan will soon appear before the Senate on Feb. 7 for his confirmation hearings. If confirmed, he will be responsible for protecting our nation’s secrets. Congress has a right to know what he knows — and if he is being questioned by the FBI in the leak probe. And the Stuxnet inquiry is only the beginning. The Justice Department is also investigating the disclosure of the role played by a double agent, recruited in London by British intelligence, in breaking up a new underwear bomb plot in Yemen. How far up the chain of command has that investigation gone? And how about the disclosure of classified details of the CIA drone campaign, including the fact that Obama personally selects the names on a terrorist “kill list”? Or leak to the New York Times of classified details of yet another covert operation in which “C.I.A. 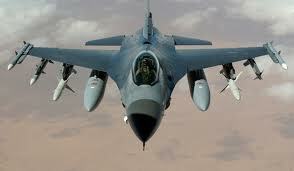 officers are operating secretly in southern Turkey, helping allies decide which Syrian opposition fighters across the border will receive arms to fight the Syrian government”? Or the revelation last summer that the U.S. was considering launching secret joint U.S.-Afghan commando raids into Pakistan against the Haqqani network? Or the disclosure of classified operational details of the raid that killed Osama bin Laden — which prompted then-Secretary of Defense Robert Gates to visit Obama National Security Adviser Tom Donilon in the West Wing and advise the White House to “Shut the [expletive] up”? Now it appears the FBI is doing something about it. The officials behind ObamaLeaks have made WikiLeaks look like rank amateurs — exposing intelligence sources and methods on a scale Julian Assange can only dream about. 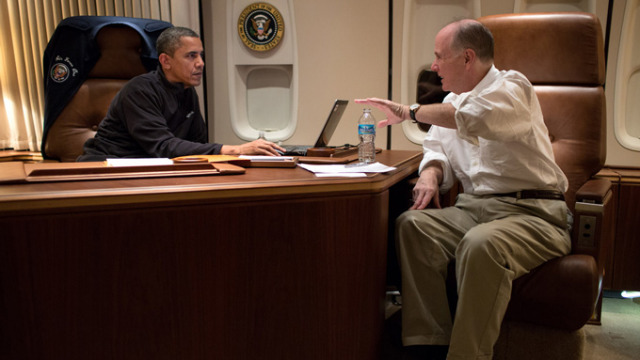 Those responsible need to be held to account — even if they have a seat in the Situation Room next to the president. The 15-year prison sentence given to a woman and her seven children by an Egyptian court for converting to Christianity is a sign of things to come, according to alarmed human rights advocates who say the nation's Islamist government is bad news for Christians in the North African country. A criminal court in the central Egyptian city of Beni Suef meted out the shocking sentence last week, according to the Arabic-language Egyptian paper Al-Masry Al-Youm. Nadia Mohamed Ali, who was raised a Christian, converted to Islam when she married Mohamed Abdel-Wahhab Mustafa, a Muslim, 23 years ago. He later died, and his widow planned to convert her family back to Christianity in order to obtain an inheritance from her family. She sought the help of others in the registration office to process new identity cards between 2004 and 2006. When the conversion came to light under the new regime, Nadia, her children and even the clerks who processed the identity cards were all sentenced to prison. "The cases will increase in the future," Tadros said. "It will be much harder for people to return to Christianity." President Mohamed Morsi, who was elected last June and succeeded the secular reign of Hosni Mubarak, who is now in prison, pushed the new constitution through last year. Tadros said the constitution limits the practice of Christianity because “religious freedom has to be understood within the boundaries of Sharia.” He added that the constitution prescribes that the highest Sunni authority should be referred to as an interpreter of the religion clause contained in the constitution. While the White House was busy drafting proposals to ban assault rifles, the last of the regulations imposed on Saudi travel to the United States after September 11 were being taken apart. 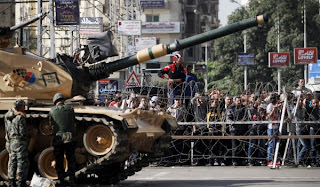 While some government officials were busy planning how to disarm Americans, other officials were negotiating the transfer of F-16s and Abrams tanks to Muslim Brotherhood-run Egypt. While Obama has not been willing to respect the Constitution of the United States and its Bill of Rights, he was willing to arm a terrorist group whose motto is, “The Koran is our constitution, the Prophet is our leader, Jihad is our path and death in the name of Allah is our goal.” If a High School student wrote that on his Facebook page, he would be in police custody within the hour, but an international organization and national government that trades in such rhetoric gets devastating firepower from our government… free of charge. 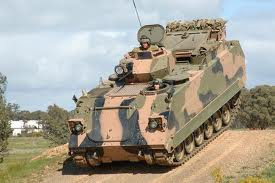 In addition to giving the Hezbollah-run government of Lebanon two hundred M113 Armored Personnel Carriers, Obama deliberately turned a blind eye while Al Qaeda and other Islamist rebel groups in Libya received arms shipments from Qatar. Those weapons included a good deal more firepower than anything you can buy at Wal-Mart and later made their way to Mali and Syria. More weapons made their way into the hands of Hamas terrorists in Gaza. Whether any of these weapons were used in the assault on the Benghazi mission is unknown, but entirely possible. While the Al Qaeda attackers at Benghazi were heavily armed, with the complicity of the Obama Administration, the Americans had been forced to abide by Libyan gun control laws, because while Obama was willing to bomb a country and help arm its terrorists, he wasn’t willing to allow embassy security personnel to flout firearms law in a city ruled by terrorist militias. Instead the terrorist militia of the Muslim Brotherhood was hired to provide security for the Benghazi mission… with tragic results. There has been a great deal of ink spilled about Nancy Lanza’s irresponsibility in keeping guns around the house; but what of Obama’s irresponsibility in sending guns to Mexican drug lords and jets and tanks to Muslim terrorists? Based on his track record, Obama believes that it is safe to send weapons to Mexican drug lords, Hezbollah and Al Qaeda terrorists, not to mention the Muslim Brotherhood, but that it’s far too dangerous for an American to own a clip that can hold more than 10 rounds. And that means that Obama doesn’t think much of the moral character of Americans, but thinks a great deal of Muslim terrorists. This double standard is the defining motif of this administration. A handful of mass shootings is enough to deprive all Americans of their constitutional rights, but the worst act of mass murder of Americans is not enough to deprive Saudi Muslim students looking for a good flight school of their visas. Even while Obama and Biden are pushing more background checks for gun owners, Saudi students will undergo fewer background checks. In The Audacity of Hope, Obama vowed to stand with the Muslims should the political winds shift in an ugly direction. But when the political winds shift in an ugly direction toward gun owners, then Obama can be found blowing on the fan. In Obama’s America, only some people can expect the protection of the Bill of Rights. And in a crisis, there are some people’s civil rights that we violate and some people’s rights that we do not. There is nothing in the Bill of Rights that says you cannot profile Muslim travelers in airports. To use the same argument as the gun controllers, airports and airplanes didn’t even exist during the time of the Founding Fathers; therefore they couldn’t have possibly foreseen their existence or applied any limitation to any violation of civil rights that can take place in them. The murder of 3,000 people did not in any way make it acceptable to single out a Muslim for special attention, despite the laws of probability, logic and common sense. That would be an overreaction. It would mean punishing large numbers of people and that would be unacceptable, no matter how many lives it might save. But depriving millions of Americans of the protection of the 2nd Amendment after several shootings carried out by mentally ill teenagers is, for some reason, not an overreaction. It’s not acceptable to single out the relatively small number of Muslims in the United States to save the lives of thousands, but it is imperative that we single out tens of millions of Americans to save a smaller number of people. The public safety logic of this does not hold up according to the numbers, the ethics or the law. The Muslim Brotherhood’s arms dealer in the White House is operating under a glaring double standard. Either an act of mass murder is a valid reason for depriving people of their civil rights or it isn’t. Either dangerous weapons should be kept out of the hands of potentially dangerous people, or they shouldn’t. But what he can’t do is what he’s trying to do, which is have it both ways, granting special privileges to Muslims abroad and at home, while depriving Americans of their basic civil rights. 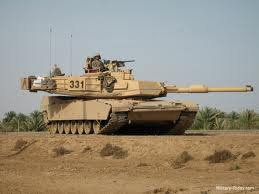 If President Mohammed Morsi, who only two years ago described America as an enemy, and who has since then tortured and murdered his only people can be trusted with Abrams tanks and F-16s, then surely the American gun owner can be trusted with an AR-15 and a clip that holds more than ten rounds. In an exclusive interview with CNN’s Wolf Blitzer in Cairo, Egyptian President Mohamed Morsi, of the Muslim Brotherhood, said he wants President Barack Obama to release Omar Abdel-Rahman, also known as the “Blind Sheikh.” The blind Egyptian cleric was convicted in connection with the 1993 World Trade Center bombing and is currently in U.S. custody. While Morsi claims he merely wants Abdel-Rahman back in Egypt based on humanitarian and health concerns, the terrorist cleric is a revered figure in the country and many fear he would be released completely once in Egyptian custody. “I wish that there could be a big possibility for the American administration to look into this matter about this sheikh, who is very old, without there being, I don’t intend on violating the rule of law in anyplace. And I don’t like anyone asking me to violate the rule of law in my own country,” he added. Morsi went on to say that he will address the issue when he meets with Obama sometime before March. The federal government has denied previous reports that the Obama administration was ever considering releasing the Blind Sheikh into Egyptian custody. “Reports saying otherwise are completely and unequivocally false,” National Security Staff spokeswoman Bernadette Meehan said. Polling station officials count ballots in Cairo on Friday at the end of the first day of vote in a referendum on a new constitution. CAIRO - Egyptians appeared to have voted narrowly in favor of a constitution shaped by Islamists, officials in rival camps said on Sunday after the first round of a two-stage referendum. The result based on unofficial tallies, if confirmed for this round and repeated in Saturday's second stage, may give Islamist President Mohamed Morsi limited cause for celebration as it shows the wide rift in Egypt at a time when he needs to build consensus on tough measures to heal a fragile economy. Official results are not expected till after the next round. Morsi and his backers say the constitution is vital to move Egypt's democratic transition forward. Opponents say the basic law is too Islamist and tramples on minority rights, including those of Christians who make up 10 percent of the population. The build-up to Saturday's vote was marred by deadly protests. Demonstrations erupted last month when Morsi awarded himself sweeping powers and then fast-tracked the constitution through an assembly dominated by his Islamist allies. The vote passed off peacefully with long queues forming in Cairo and other cities and towns where this round of voting was held. The vote was staggered because many judges needed to oversee polling staged a boycott to voice their opposition. But late on Saturday, as polls were closing, Islamists attacked the offices of the liberal opposition Wafd party newspaper, a party that was part of the National Salvation Front coalition that pushed for a "no" vote. Huge queues have been visible everywhere in Egypt where voting in the constitutional referendum is taking place today. Among the first to vote was President Mohammed Morsi. Two votes have had to be organised, the second on December 22, because some of Egypt's judges have boycotted the vote and there are not enough willing officials to monitor polling stations. Turnout is so high voting may be extended into Sunday, and has already been extended by several hours. After violence in the days leading up to the poll, today has been quiet. Over half of Egypt's electorate is due to vote today, with both Cairo and Alexandria included in the first round. The results will not be published until both rounds are concluded. "I feel that the country will be stable and that people will resume their work and interests, because the situation has been frozen for two years and the country is in a mess. I hope that god will offer good things for the country, so I'll vote 'yes', not 'no' ," said one hijab-wearing woman. "This day is not a good thing for us because we are forced to vote on the whole constitution, articles containing poison and defects. This constitution has been created for slaves, it's a big shame on Egypt to be voting it, and I think disaster is coming if we carry on with the same approach," said another woman, in big sunglasses and furs. These two women are emblematic of the division in society that our reporter has been witnessing. "With 'yes' or 'no' Egyptians move today into a new phase in the history of their young revolution, to vote on the new draft constitution which has already led to a split in the state apparatus, demonstrations, and clashes. Egyptians hope this will end as soon as the result is announced," says our reporter Mohammed Shaikhibrahim. CAIRO — The Egyptian military’s elite Republican Guard deployed tanks and barbed-wire barricades around the presidential palace to restore order Thursday after violent clashes between supporters and opponents of President Mohamed Morsi rocked his fledgling government. Thousands of Morsi supporters from the powerful Muslim Brotherhood organization heeded the Guard’s mid-afternoon deadline to withdraw from the area, but scores of opponents — kept at a distance by the barricades — continued to demonstrate across the street from the palace, chanting slogans against the Islamist president. The overnight clashes, in which Egypt’s divided and angry revolutionaries battled each other with rocks, molotov cocktails, sticks and clubs, left the capital on edge and raised concerns about the stability of the country’s first democratically elected government and its relationship with the military. The commander of the Republican Guard, Maj. Gen. Mohamed Zaki, said his forces were deployed to separate the demonstrators, not suppress them, the official Middle East News Agency reported. In Washington, a senior Obama administration official said the military so far appears to be playing a neutral role in the upheaval. The presence of troops and tanks around the presidential palace, the official said, is seen in Washington as an effort to protect the compound and prevail upon demonstrators to stand down. “I wouldn’t make too big a deal of the military being out now,” the official said. In talks with U.S. officials this week, a high-level Egyptian delegation had indicated that the government was preparing to make a gesture of “outreach” to the opposition, the official said. The delegation’s trip was originally scheduled to discuss plans for a Morsi visit to Washington on Dec. 17. That visit has now been postponed, at the request of the Egyptian government. The fighting between Morsi’s Islamist supporters and his secular, liberal and non-Islamist opponents stems from a political crisis unleashed Nov. 22, when Morsi issued a decree giving himself near-absolute power in the name of speeding the country’s turbulent democratic transition. By Thursday afternoon, at least three of Morsi’s advisers had resigned over the decree, and Egypt’s influential al-Azhar University, a seat of moderate Islam, was calling on Morsi to rescind it. Events in Egypt continue to deteriorate. On Wednesday, rival groups of protesters clashed outside the presidential palace in Cairo, when Muslim Brotherhood supporters of President Mohamed Morsi confronted 300 opposition members who were staging a sit-in. The protesters were initially routed, but after a lull in fighting, hundreds of young Egyptians returned to the scene and a violent exchange of firebombs and rocks ensued. Gunshots were also fired, and more than 211 were injured, medical sources reported. The violence marks the worst outbreak of unrest in the deepening crisis centered on Egypt’s new draft constitution, scheduled to be put to a vote December 15. By nightfall Wednesday, more than 10,000 members of the Muslim Brotherhood had massed around the palace, setting up metal barricades to keep traffic off a stretch of road that runs parallel to the palace in Cairo’s upscale Heliopolis district. A banner saying, “May God protect Egypt and its president,” was posted on a truck the Brotherhood brought with them. On top of the truck, a man with a loudspeaker began reciting verses from the Quran. Chants from the Islamist crowd also began to fill the air. 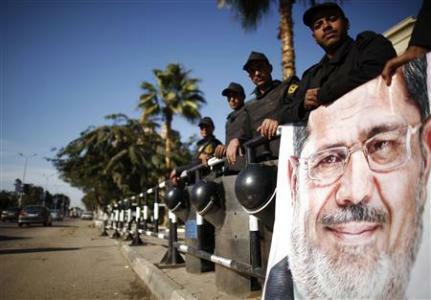 “The people want to cleanse the square” and “Morsi has legitimacy,” they intoned, according to AFP news agency. The fighting extended into Thursday morning, after riot police tried and failed to separate opposing forces. When police failed to ease tension on the streets, residents took matters into their own hands, erecting makeshift road blocks to check passers-by. Updated at 7:58 a.m. ET: CAIRO -- Egyptian police battled thousands of protesters outside President Mohammed Morsi's palace in Cairo on Tuesday, prompting the Islamist leader to leave the building, presidency sources said. Officers fired tear gas at up to 10,000 demonstrators angered by Morsi's drive to hold a referendum on a new constitution on December 15. The Associated Press reported that some protesters broke through barbed wire around the building and hurled chairs and rocks at retreating police on Tuesday night. The crowds had gathered in what organizers had dubbed "last warning" protests against Morsi, who infuriated opponents with a November 22 decree that expanded his powers. "The people want the downfall of the regime," the demonstrators chanted. "The president left the palace," a presidential source, who declined to be named, told Reuters. A security source at the presidency also said the president had departed. Morsi returned to work at the presidential palace on Wednesday morning, an aide later told Reuters.